Magic Shell is a fun chocolate topping. 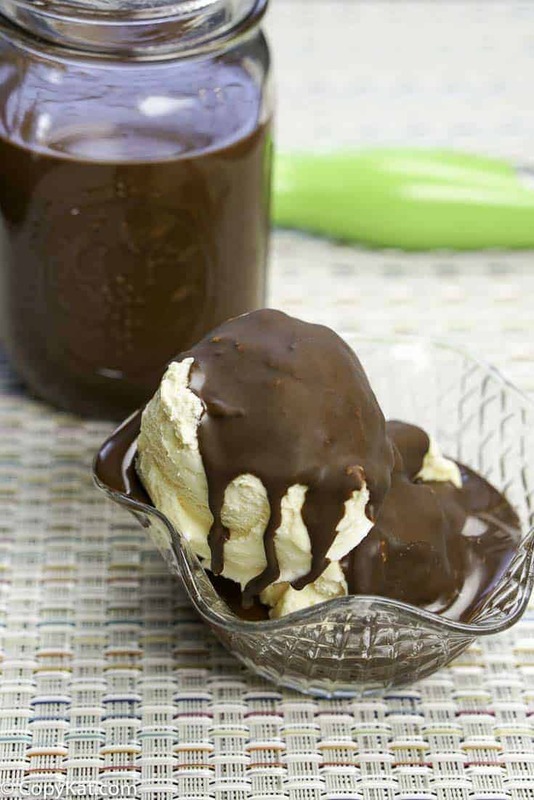 Magic shell is the chocolate topping that goes on liquidy and then creates a hard, Magic shell on top of the ice cream. If you like dipped cones, you will really enjoy this ice magic shell. If you have never tried making Magic Shell, you will find it very easy to prepare this fun ice cream topping. This is great to drip frozen bananas into, and can tip ice cream cones in here, and much more. 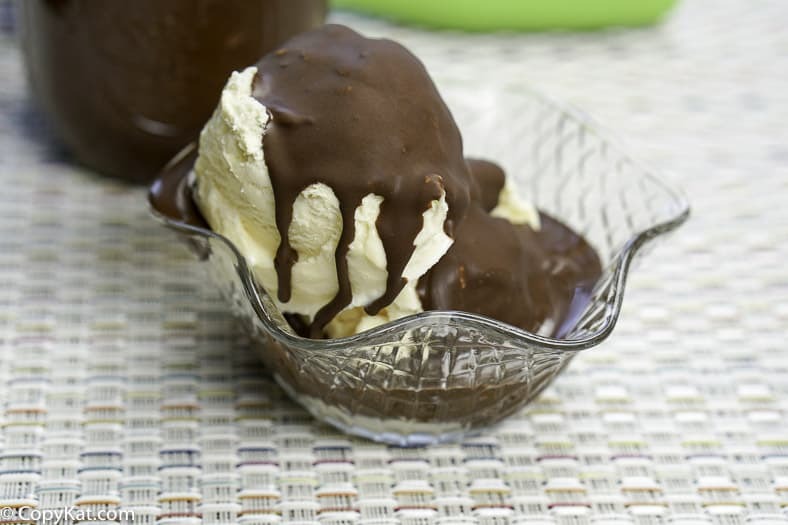 There are two ways to prepare famous ice cream topping, you can use either coconut oil, or you could use butter, it is up to you which you would like to use. For this recipe, I like to use chocolate chips but you could use chocolate that you chop up. Perhaps you want to use a nice dark chocolate for this recipe. It would work well. Homemade magic shell should be stored in the refrigerator. It will harden in the refrigerator, you can rewarm Magic Shell by placing the container into warm water. The chocolate topping will warm up and liquify again. Once it has liquified you can pour it over your ice cream again. Love ice cream topping recipes? Check out these other recipes to top your ice cream. You can make Magic Shell with this copycat recipe. Melt chocolate chips in the microwave, in 30 second increments stirring each 30 seconds until they are melted. Heat coconut oil until it is liquid. Stir both together until the chocolate topping has a uniform texture. Store in a container in the refrigerator. Magic Shell hardens when it is put on something cold. so if you put it in the refrigerator…..will it get hard???? Yes, it will get hard, but you can put the bottle in a glass of warm water and it will melt again. Is there anyway to make this dairy and soy free? I have chocolate chips that I can use but do you think an alternative butter would work? You can make this with coconut oil.